To record good lessons online, plus a well-planned script and the necessary equipment, you need to be able of speaking well on video. However, professionals who are not used to being in front of a camera often struggle with the best way to present themselves in a positive way. When recording some video material that will be released, we all want to have the best appearance possible. After all, in addition to instructing, the video also aims to boost the brand of our company and increase sales. However, speaking well on video is not that simple for many people, especially those who are not used to being in front of the cameras. That’s why many teachers, despite their excellent oratory and classroom presence, show a lower performance in recorded classes or interviews. Just as the opposite also happens. Speaking in front of the audience is a skill that can be trained and, speak for the cameras, alone in a room, it is also. While there is no instant magic formula, there are some strategies you can implement to improve the overall flow of your videos. 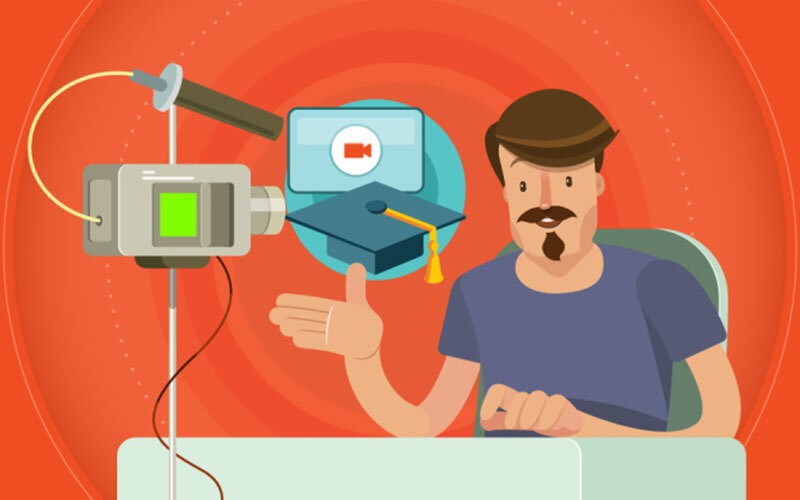 We’ve prepared 7 tips for professionals who are starting or want to improve their online classes on how speaking well on video. A camera may be the biggest criticism you have ever known. It tends to potentiate everything you show, including your level of enthusiasm. So if you look tired, or keep the same tone, your videos are likely to make your students sleep. Speaking well on video requires effort, and the first step is to make it clear that you like what you are saying. Show enthusiasm and energy in speaking to the viewer, show pleasure in teaching. This does not mean screaming or juggling, it means believing what you are talking about, and talking with pleasure. In his talk for TED, Tim Urban gives a good example of how to impress emotion in the speech, letting his voice intonation change according to his speech and make it clear to the audience how he feels. This behavior is the first step to building public interest. Smile at the camera and focus on how you can use your energy to boost your video. It is a fact that the great flow of information that the Internet has brought into our lives has drastically reduced our attention span. Studies show that our attention span today is only 8 seconds. So, to capture and hold the attention of your audience, you need a fast and clear message. When writing your video script and planning your speech, avoid using slang, local expressions, or jargon. It is common, as we develop in our profession, we often use more jargon. However, do not forget that your clients do not spend all day working in the same area or do not have the same level of understanding as you. Otherwise, they would not need your services. Therefore, for speaking well on video, cut out any term that is not of general understanding, and make it easier for your potential students to understand how you can help them. Curious facts: 72% of people believe that people who smile often are secure and successful. What better way to gain the trust of your audience than by showing that you are confident about your business and services. Video expert Sunny Lenarduzzi shows how scary it is when you do not smile or blink while you are recording a video. Her example of what not to do when you are in front of the cameras is perfect. 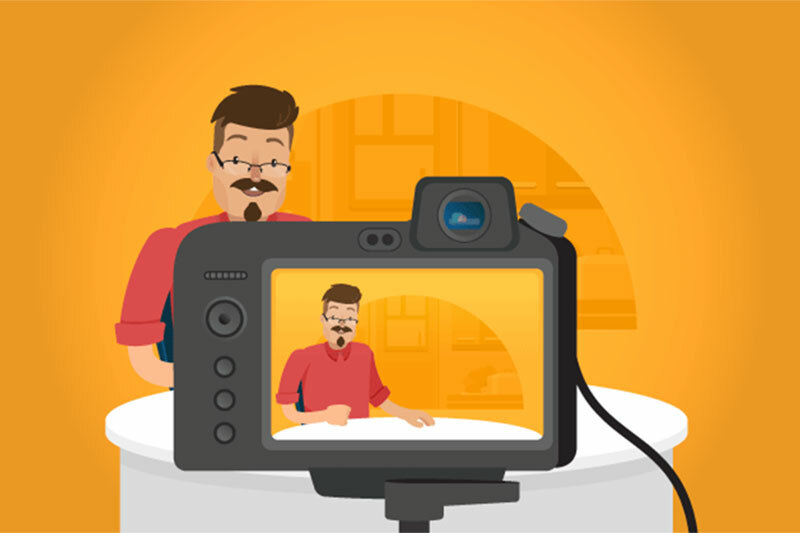 It addresses many of the challenges people have when filming their first video. Want another good reason to be nice and smile more? The Wishpond conducted a test A / B for 5 weeks and found out how a smiling face increases profits 10.7%. If you have trouble smiling at a camera or are worried that your smile will not look genuine, practice in front of a mirror. This will help you relax when you are on camera and will also help you realize facial tics that you do not even know you have and that you do not want to show. As we mentioned earlier, it is not because you have experience speaking in a classroom or events, that you know how to speak well in video. The challenge of speaking in front of a live audience is different from talking alone, to the camera, without any interaction. First, because there is no one encouraging and creating hooks for dialogue. It’s more of a monologue and the flow of the narrative depends entirely on you. Secondly, you can not assess the emotions of the viewer. And third, you have a more limited range of motion. Unlike a stage, the scope of the camera lens limits the spot where you can aim to secure the audience’s attention. For this reason, the key is to look directly at the camera lens. While it is tempting to look at yourself talking (depending on the camera in use) or focus on different points of the room throughout the video, your audience will be just ahead of you. And remember the importance of smiling and blinking. Everyone looks scary when they keep their eyes open for a long time. It is never too much to repeat this statement: you have 8 seconds. That’s why a video script is so important. You need to plan well and get your message across to the public clearly and quickly. The better your video is; more people will watch to the end. For example, do not start by saying your name and video title. Instead, think in something appealing to your audience, such as a call or question that arouses their curiosity. Other good starts ideas can be an anecdote, a statistic or a provocative statement. After all, speaking well on video it’s not enough. To insure your audience, you have to instigate, arouse their interest. Viewers need a reason to keep watching your video. You need to give this reason as soon as they press play, or they will stop watching. Just because you know what your business is, does not mean that you know how to explain it clearly to others. People who seem natural talking about a particular subject are those who do it regularly. So, especially if you’ve never taught any classes before, you should plan the structure of your course first, and then create a video script. It is necessary that you have defined how your class will develop, that is, how you will convey the information in a coherent way, so that your students can follow and develop a line of reasoning. Once you have this script, practice until you get tired of hearing your own voice. And practice in front of the mirror, to train your expressions and gestures at the same time. Start with a great introduction to capture attention and follow up with some information about the direction of the video. People like structure, know what to expect, so they can follow your story in the video more peacefully. Whenever possible, add images and audios to indicate and highlight different points. It’s also interesting to use captions or a text call that shows viewers that you’re moving to the next topic. Your audience does not always pay attention to every word you speak. Therefore, it is best to use other elements to make it easier for they to follow you. Remember that the first impression is the one that stays. And the first impression, in the case of videos, is the visual. Another rule of human behavior is that people make pre judgments about you immediately. They judge you by your smile (or lack thereof), your posture, and other nonverbal cues. Lastly, your viewers will judge you based on your appearance, and this certainly includes the clothing you are wearing. No one will ever please everyone but you can use something that suits your target audience. Which makes it clear that it does not necessarily have to be a suit. Yes, people like Mark Zuckerberg have worn sweatshirts for years. However, even he wore a suit when he spoke in front of the Senate. The saying is true: if you look good, you feel good. You do not have to spend all day dressing. However, you can spend some time looking for a clean, pressed shirt to wear. Do not dress too brightly, unless it is appropriate for your audience. Also, comb your hair and a light makeup does not hurt anyone. We know this has nothing to do with speaking well on video, but believe me, it’s an important point of the “sales package”. After studying the tips above, you will have a better idea of ​​what you should and should not do in your next video. If you can not implement all of these guidelines at once, start with one or two and refine until your videos become more effective. Over time, you’ll improve your visual content and will gain credibility so your audience wants to watch more videos and learn more about your services. Once you are speaking well on video and achieve a neat result, you can focus on other factors such as hosting and selling your online courses. ELearning platform (LMS), Coursify.me has all the necessary features for you to integrate and import content from video hosting platforms such as Vimeo and YouTube. Instructors can embed their hosted videos in any of these channels on their page on Coursify.me, leaving their lessons even better and more complete. 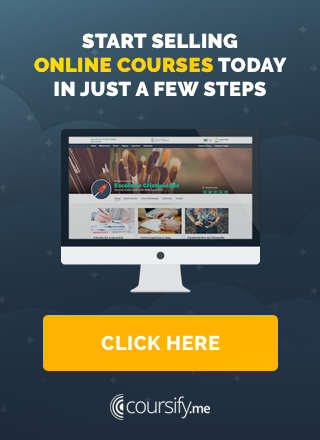 Visit our website and take advantage of all the features of our platform to create and sell quality online courses.